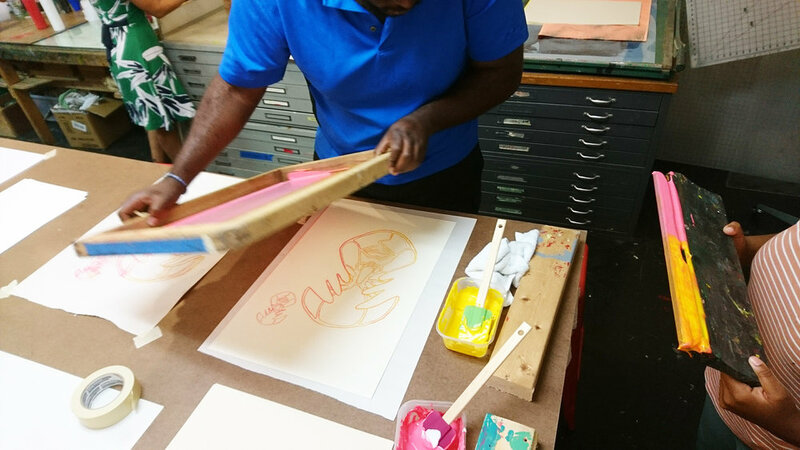 Tranqui Prints is a screen printing studio focused on printed textiles open to other artists and designers in Miami looking to access communal equipment for their screen printing projects. The Studio is equipped with soft-top tables, light box, washout booth and communal tools to alleviate the expenses associated with producing work in this field. Technical know-how in the realm of printed textiles for the purpose of interior designed goods and apparel is available in the form of workshops and private lessons. Artist Nick Mahshie demos the screen printing process for a young printer at Miami's Ironside. 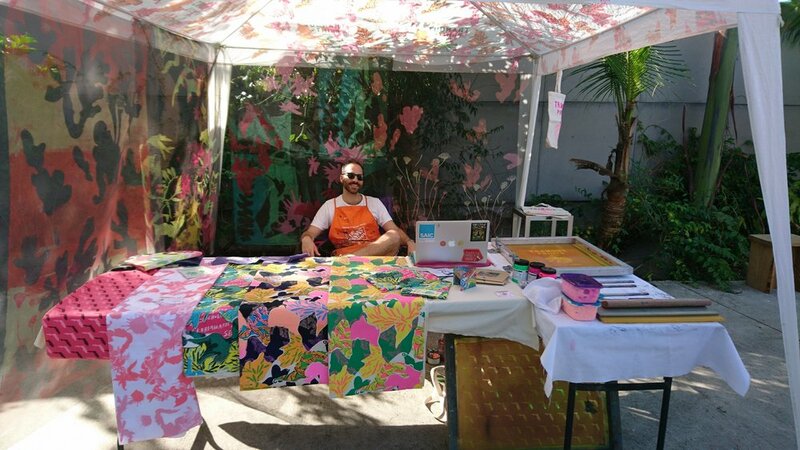 Pop-up tent at Miami's Ironside courtyard for their monthly designer pop-up. Printed on natural and synthetic materials for an array of applications.